Our members approach geology from a wide variety of interests. 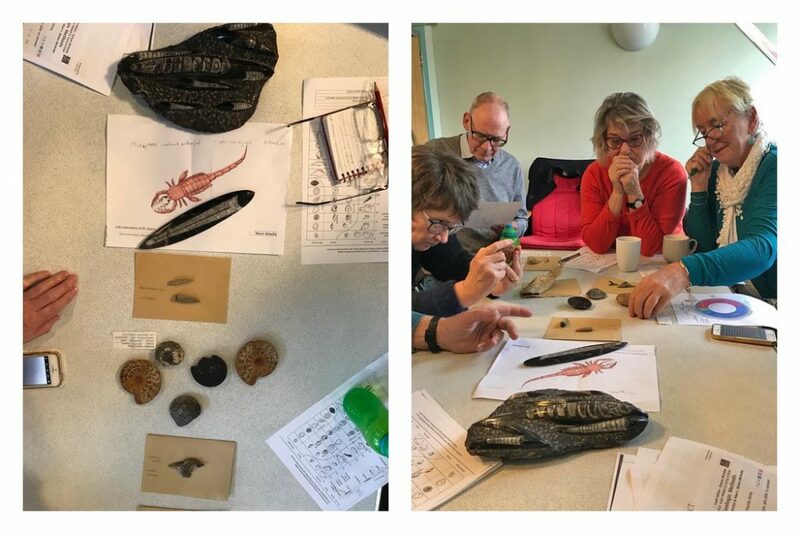 Sharing knowledge with other members is the key to us all gaining a better understanding of the Earth and its environments whilst enjoying the company of others with a similar interest. Membership of the Geology Group involves: reading up on areas of interest (none of us are experts! ), discussion of relevant news stories and selected subjects, plus occasional visits to geologically interesting locations or geological collections. 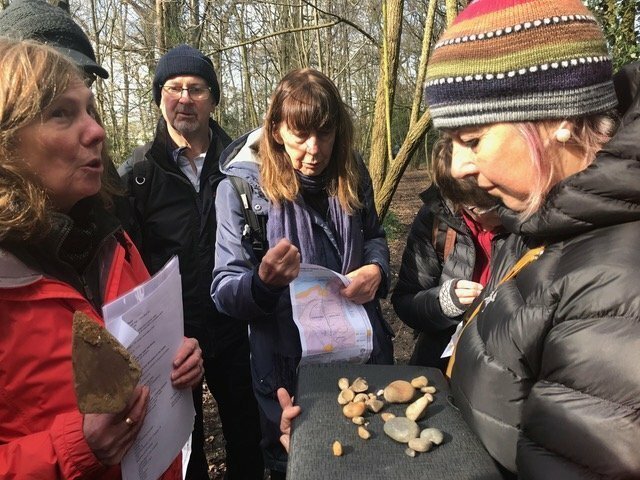 On 13 March 2019 members of the Group went down to the woods and were in for some big surprises on a field trip to Highgate & Queens Woods. This was brilliantly led by our local expert Diana Clements. With her colleagues she has created an excellent display in the Highgate Wood information hut, the starting point for our visit.